Is Metformin a new risk factor for Parkinson`s disease? Parkinson’s disease is a neurodegenerative disorder that takes place when the neurons of the substantia nigra, a brain structure involved in the movement control, die. This leads to several symptoms including motor and cognitive dysfunctions, progressive loss of autonomy and mood alterations. It is known that inflammation play a central role in the cell loss that occurs in Parkinson´s disease, so anti-inflammatory treatments could be useful to prevent or delay the progression of this disease. Although the cause of Parkinson’s disease is still unknown, an increasing number of risk factors that may increase the likelihood of developing the disease are being discovered. Among them are age, sleep disorders, brain trauma and exposure to certain environmental factors such as pesticides and herbicides. In this sense, diabetes mellitus has begun to be considered as a possible risk factor for developing this serious neurodegenerative disorder. Metformin is one of the most commonly used drugs to treat diabetes. Recently, various clinical and experimental studies suggest that metformin, besides their anti-diabetic actions, can attenuate inflammation. 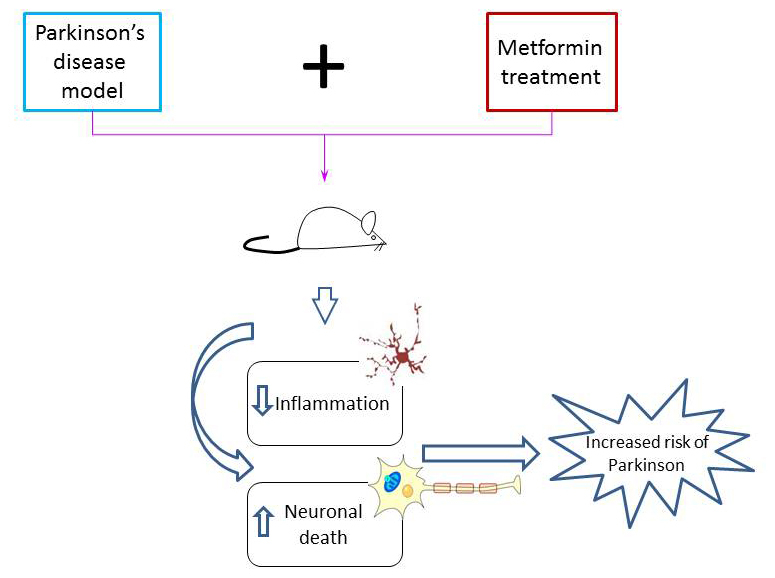 Given the anti-inflammatory activity of metformin and the importance of inflammation in the development of Parkinson’s disease, the aim of this study was to determine whether treatment with metformin was able to protect our neurons using an animal model of Parkinson’s disease. Our results show that metformin is capable to reduce brain inflammation. However, and contrary to expected, we found that metformin not only failed to protect against neuronal death but even increased it. Therefore, our results suggest that treatment with this drug in diabetic patients might accelerate the onset and/or progression of the disease, so it may be considered as a risk factor for Parkinson’s disease. Considering that neurodegenerative diseases are a frequent complication in patients with diabetes mellitus, it seems necessary to deepen the impact that treatment with metformin or other oral anti-diabetic agents may have on the development of Parkinson’s disease. 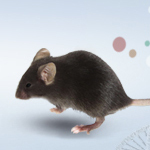 Metformin, besides exhibiting strong in vivo anti-inflammatory properties, increases mptp-induced damage to the nigrostriatal dopaminergic system.